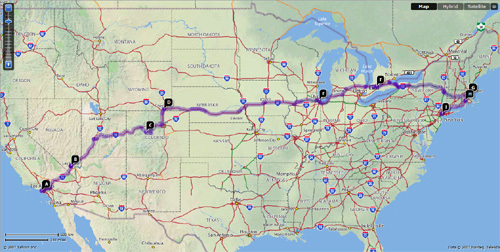 USA Customer Tour route has now been chosen! MAIN STOPS: BOSTON – NEW YORK – PHILADELPHIA – BALTIMORE – WASHINGTON DC – RICHMOND, VA – NORFOLK, VA.
Keep checking the Dyeblog for updates! 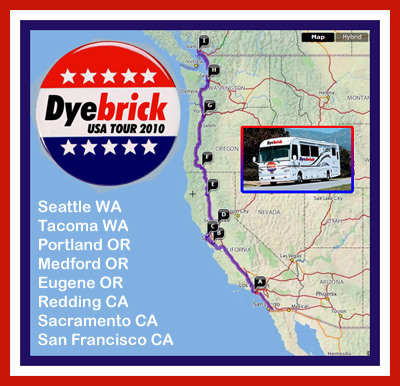 Dyebrick are pleased to announce that our West Coast tour is confirmed and due to start on September 6th 2010. We will be starting our tour in San Francisco and finishing four weeks later in Seattle. We will be stopping off at numerous customer locations. If you’re interested in a visit from the Dyebrick team to take a look at your project, then please email us using the regular Contact Us form. There is only a limited amount of time we can stop off at locations, so book early to avoid disappointment! 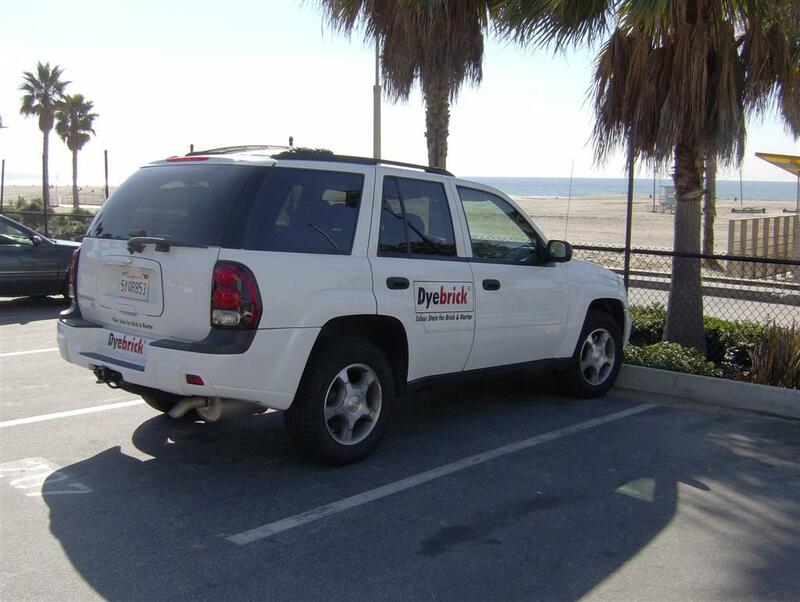 Dyebrick wishes to thank all the customers (and their neighbours!) for their kind hospitality on our East Coast 2009 tour. We did do a lot less miles this trip than usual and managed 18 visits this time beating our last tour by four! We experienced temperatues ranging from 28oC to -10oC on our trip from Miami, Florida to Washington, D.C. We took three days off to visit Miami and travel down to Key West. 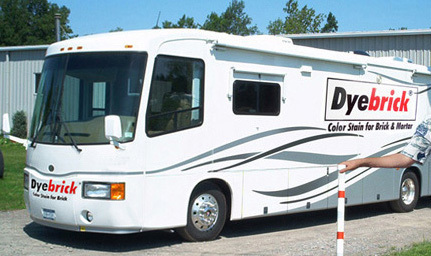 We picked our tour bus up in Orlando, ready to start work! ~Thanks again to ‘Signs Unlimited’ for their quality vinyl grapics! At the end of our tour we took two further days off to witness the inauguration of the 44th President of the United States – Barack Obama. We cycled in from just outside Arlington and managed to get a good view on the National Mall. We would like to extend a special thank you to Aaron Leach and the other volunteers at the Salvation Army who accepted our bicycles as donations for their Adult Rehabilitation Centre in Richmond, Virginia and to Major Mary Smith for pointing us in the right direction. Please Note: We could only store a specific amount of samples for our trip, so for those of you who requested samples when we were in Delaware, please remember to quote your ‘Preference Number’ when placing your order. 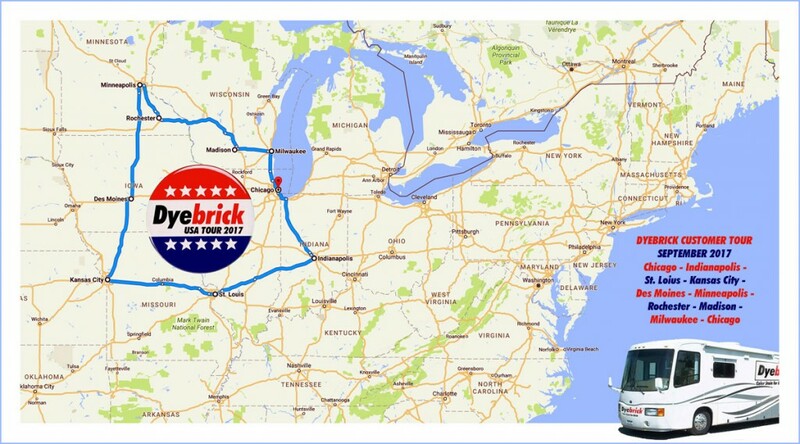 Rested from our epic coast-to-coast tour back in December, Dyebrick are pleased to announce the dates of our next tour: the ‘Brick States’ – North & South Carolina. The dates are confirmed as Saturday 10th – Saturday 31st January 2009. We are starting our tour in Miami, Florida and will be heading north to the ‘Brick States’ and beyond. We are ending our tour in Washington DC to witness the inauguration of the 44th President of the United States – Barack Obama. We will post more up-to-date information about the tour as it becomes available. 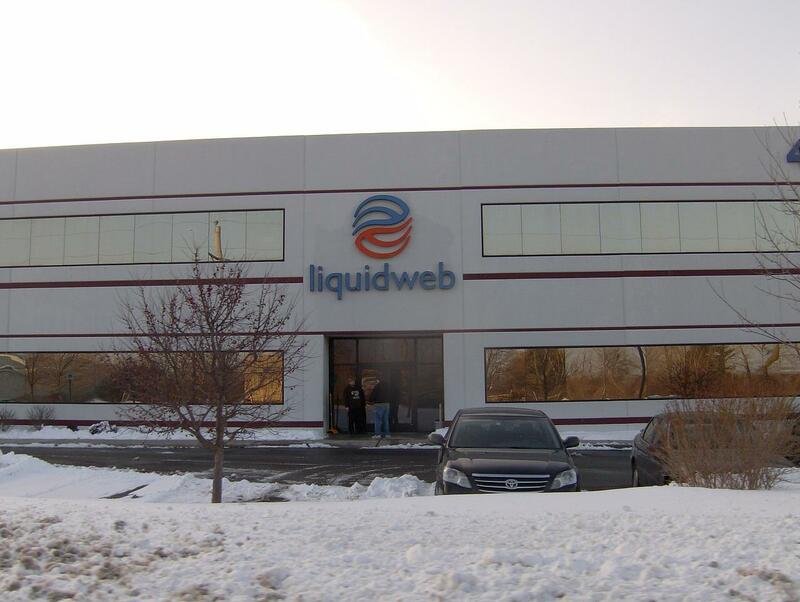 This is an additional post to say thank you to our web hosts, Liquid Web for inviting us to a tour of their impressive Data Centre in Lansing, MI. We also got to put faces to the names of some of their 24/7 support team. 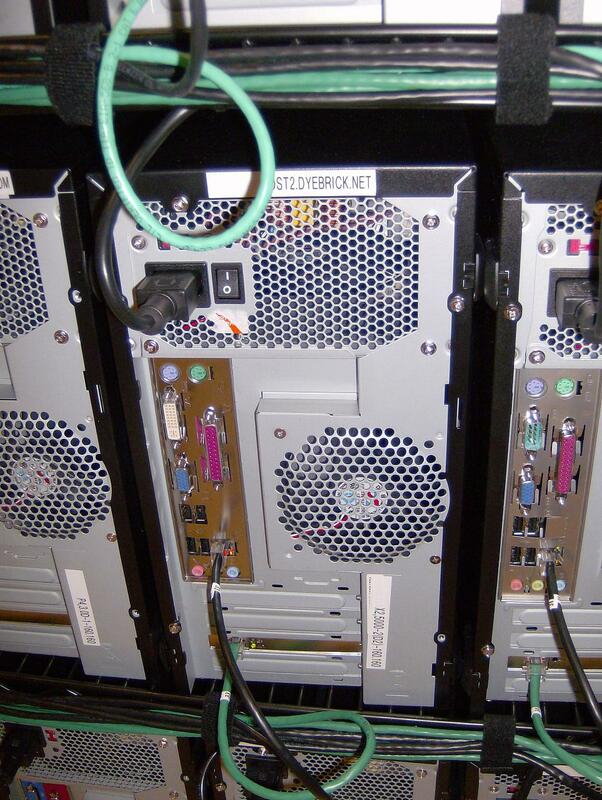 It’s quite a strange feeling looking at a PC that you usually communicate with remotely from over 3,000 miles away! Click the photos below to enlarge. 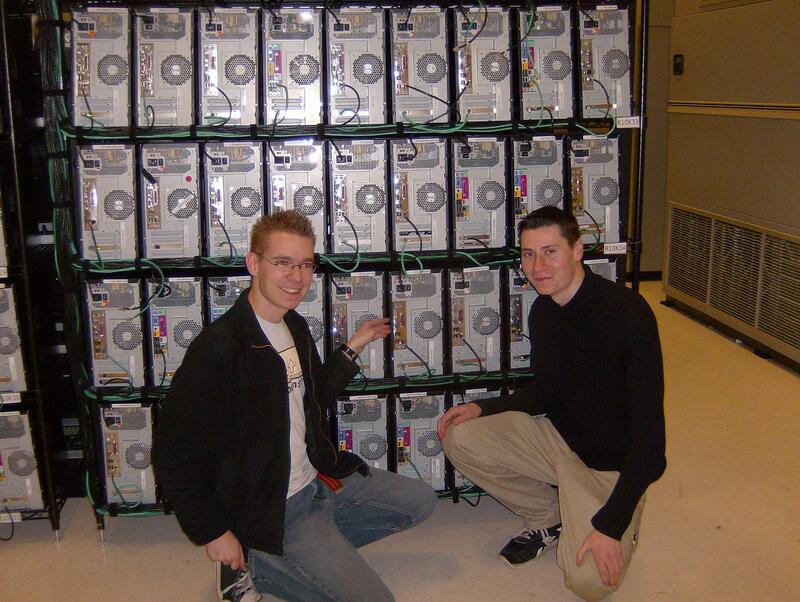 On the left is me, James (IT) and to the right is Seb (Production). 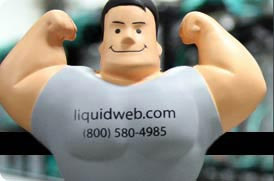 Oh, and we also got to take home a Liquid Web heroic support man! We would like to thank all the clients we visited on the tour for their kind hospitality. It was great to meet with all of you. Considering the wintry conditions in the Mid-West we were fortunate enough to side-step the worst of the weather and stick to our schedule. If you missed out on the tour and happen to live on the east coast, then you’re in luck as the next tour will be the East Coast Tour 2008. We will post an update on the planned route in mid-2008. …a Happy New Year to all! The USA Tour gets underway today! 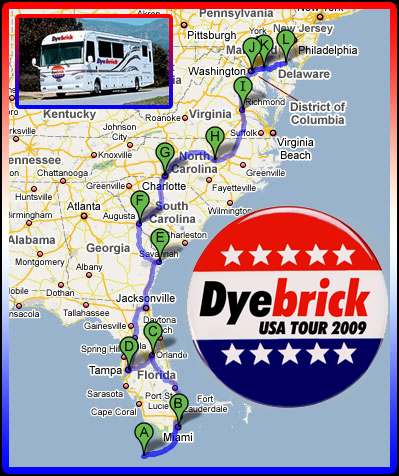 Well, it’s turned midnight which means the countdown timers have finally stopped and all systems are go for the Dyebrick USA tour 2007. Due to the volume of work to be done for the meetings in San Francisco and Los Angeles, there will not be many updates on the blog until the tour itself gets underway. We estimate this will be on the 11th December. The tracking will also only be active during the tour itself, more instructions on how to follow us will be posted when we start moving! I’m now going for some much needed sleep for the busy month ahead! 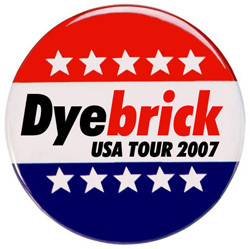 Dyebrick USA Tour Dates Confirmed! This year’s Dyebrick tour has now been booked and confirmed. We will be keeping the blog up to date with our progress through the USA, and may even have a live GPS tracker on the site. 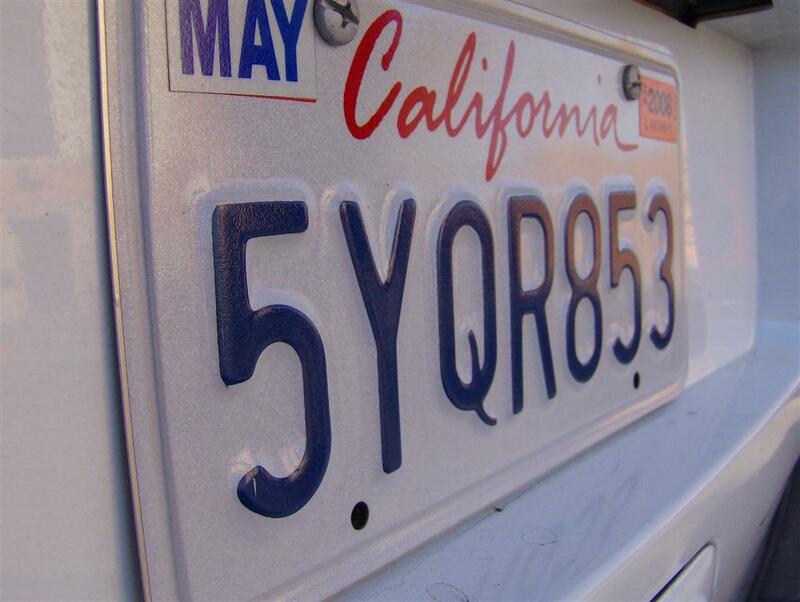 The tour kicks off on Saturday, 1st December 2007 at 9.30am in Los Angeles, California. 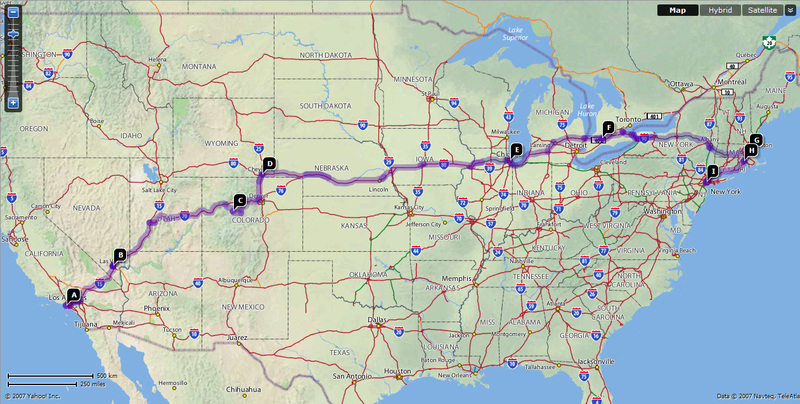 Click the image below for an enlarged JPEG of the tour, or the link below it for an interactive Yahoo! Maps link. Click here for an interactive Yahoo! Maps version of our route.